In the wake of fireworks and 4th of July festivities, everyone’s feeling that patriotic tingle in their tummies. There’s nothing more American than barbecue and apple pie, but what about candy? In this post, we’re rounding up some of our favorite American made candies, so you can celebrate July with all things USA! 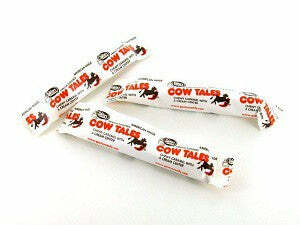 Cow Tales! A personal favorite, Cow Tales are a deliciously macabre roll of caramel with a vanilla icing center. They look astonishingly similar to the real thing, but are at least twice as tasty. These guys are the perfect mix of firmness and chewiness, holding their form until they melt in your mouth. We wish these roamed free on the open plain, but you’ll have to settle for buying them from from us. 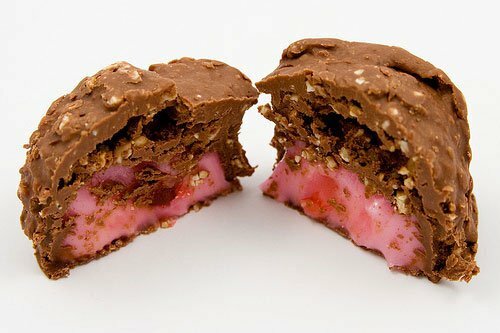 This beaut is none other than Big Cherry: a fabulous concoction of peanuts, milk chocolate, and a cherry cream center. The best bit? There’s always a whole cherry inside – it’s the American way. If George Washington knew that someone would invent this pile of goodness, I bet he never would have cut down that cherry tree. We cannot tell a lie – Big Cherry is mighty tasty. 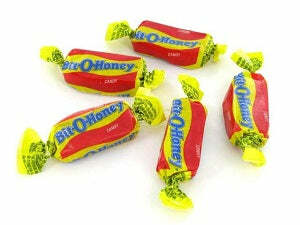 You can’t forget the golden glory that is Bit-O-Honey! This taffy sensation is sprinkled with bits of almonds for a little crunch in every bite. How else would you appreciate the soft chewiness of the honey if you didn’t have a crunch every now and then? The Land of the Opportunity always comes with a little struggle – and this struggle just happens to be yummy almonds. 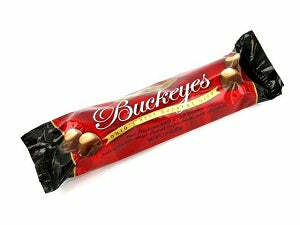 Like a fine wine, these Buckeyes are the perfect fancy treat for your high society get togethers – or just for impressing your friends. Bring out a tray of these peanut butter chocolates and you’ll show everybody that you’ve worked hard to get where you are in life. Once you’re in the position to upgrade from Reese’s cups to this grown up variety, you’ll know you’ve made it. Or better yet – have both! America the free! Live the dream! 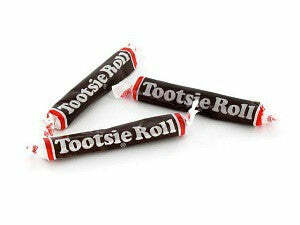 Last but not least…here’s to the Tootsie Roll! This iconic chew launched the success of the Tootsie candy company, being an instant hit as soon as it was released. Candy sommeliers say that the tootsie roll has a distinct cocoa flavor with fruity undertones that give this treat a special step above the rest. Just like our forefathers, the Tootsie Roll proves that to be great, you have to prove yourself, and this roll’s bold chewiness definitely proves that it deserves to be an American classic! As you’re chowing down on these freedom snacks, remember to take a browse through our Candy Made In The USA section under the Walk The Candy Isle tab of your website! Enjoy browsing through Old Time Candy – the land of the sweet, and the home of the crave!